The Medieval Town of Tarnovo was the capital of Bulgaria during the 12th - 14th cc. period and included the castles situated on the Tzarevetz, the Trapezitza, the Momina Krepost and the Sveta Gora Hills and the downtown Hill. The two main architectural complexes are in the centre - the King’s town, called the New Town (the present Assenov Quarter) was built in the 13th c. along the two banks of the Yantra River between the two hills - the Tzarevetz and the Trapezitza. The Arbanassi annals begin with the earliest written document - the firman by sultan Suleiman the Magnificent from 1538 with which he grants the lands of the modern towns Arbanassi, Lyaskovetz, Gorna Oryahovitza, and Dolna Oriahovitza to the grand vizier Rustem pasha who was sultan’s son-in-law. In the mentioned firman the four settlements are under one name - Arnabud Karielare. Other pieces of information about Arbanassi we find in the notes of Pavel Djordjic to the Transsylvanian prince Zigmund Bathory from 10 January 1595. Arbanassi is also mentioned by the Catholic bishop in Sofia Petar Bogdan Balishic who visited Veliko Turnovo in 1640. 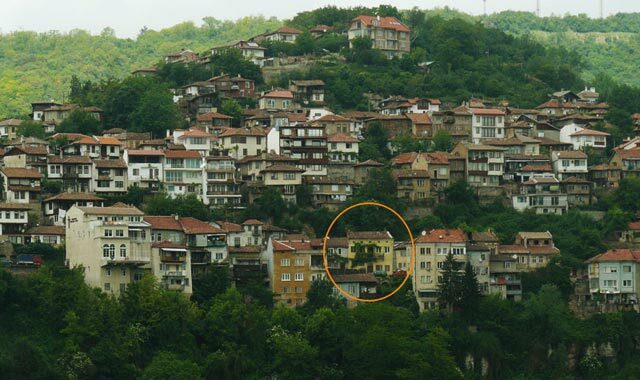 He mentions that up the mountain there was a town where whole Turnovo can be seen and there were about 1000 households. The lack of other documents gives a lot of opinions and suggestions of the origin, name and population of Arbanassi. Some scientists accept that it is settled by Bulgarian boyars who came with their peasants from the most western lands after the brilliant victory of Ivan Assen II at Klokotnitza on 9 Mart 1230 when he takes possession of the Arbanassi land.